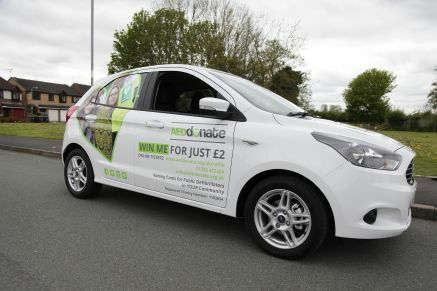 Play our raffle today for a chance to win a Ford Ka! Be in with the chance to win our fantastic prize of a Ford Ka+Zetec 1.25 by entering our raffle. Your support will also help safeguard local communities from the UK’s biggest killer – sudden cardiac arrest. To play simply click the Play now button below. The closing date for the draw is 8 May 2019 and the draw date is 10 May 2019. Please be aware that some credit card companies will charge a transaction fee when you purchase your chances from this website. There is no such fee for payments by debit card.